Paul Uchechukwu Uche was a promising young man. Although nominally an MIT-trained chemical engineer, Paul practiced a number of other roles with equal aptitude; he was a talented writer and musician, a recognized leader among his peers, a caring friend, and a loving family member. While Paul’s life gleamed more brightly than others, its light was destined to dim commensurately early. On June 19, 2014, Paul passed away in Toronto, Canada from complications due to acute myeloid leukemia. Some of the stories most worth remembering are also the shortest ones. Paul’s short story is below. Paul’s life unfolded in Nigeria, Holland, Malaysia, Oman, United States and Canada. He went to primary school in Miri, Malaysia; Port Harcourt, Nigeria and Lagos, Nigeria, where he was universally recognized as a happy and bright young man. Paul went to high school in both Abuja, Nigeria, and Muscat, in the Sultanate of Oman. During these years, Paul began to receive recognition for his multiple talents. Most notably being granted the ABA Citizenship on top of his multiple academic achievements. 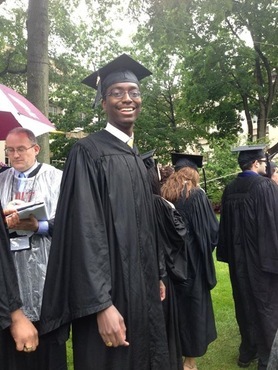 His successes led him to be accepted by Yale, Stanford and MIT three of the best schools in the United States. Paul chose the Massachusetts Institute of Technology (MIT) in Boston where he studied Chemical Engineering, with a minor in Creative Writing. Paul continued to flourish at MIT, where he was regarded not only for his intelligence, but also for his remarkable ability to make friends and bring people together. At MIT he served as the President of his fraternity, Sigma Chi and was generally a very popular student. In November 2012, while in his last semester at MIT, Paul was diagnosed with Acute Myeloid Leukemia. His induction chemotherapy treatment at Beth Israel was successful, in part because of Paul’s sheer strength of will and faith in God. His leukemia entered remission within seven weeks and Paul chose to continue with academic work while undergoing a tough regimen of consolidation therapy. 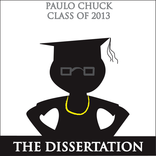 Amazingly, despite very constrained participation in school work, Paul completed his undergraduate work with great grades and graduated on schedule in June of 2013 at 22 years of age. Seven months into remission and two months after graduation, Paul discovered that he had suffered a relapse: the leukemia had unfortunately returned, far earlier than the most pessimistic predictions. As he was already relocating to Canada at this time of relapse, he transferred to the Princess Margaret Cancer Centre in Toronto where a new chemotherapy treatment plan was quickly instituted. Doctors recommended that Paul receive a bone marrow transplant, and a search for a donor commenced. Paul found his donor but a transplant could not be performed due to the numerous complications from his intense chemotherapy treatment. Those complications, side effects ultimately were too much for Paul's body to withstand. While undergoing treatment in Boston, Paul's determination to live a normal life under the circumstances was inspirational. He maintained a blog that was entertaining and very educational - incredible for its disciplined, yet entertaining use of language and facts. He was able to record an entire album during his treatment, most of it from the hospital bed. You can listen to it here. Aside from his academic work in Chemical Engineering, Paul explored his passion for creative writing at MIT. You can read one of his wonderful short stories here. Inspired by Paul’s unstinting commitment to others and making a positive difference in the world, the Paul Uche Memorial Foundation commits itself to bring people together to make a positive impact.